George Brown College and the Centennial College campus will be closed Tuesday while waiting for an icy winter storm to hit the city early Tuesday. George Brown tweeted The childcare laboratories will also be closed and continuation courses will be canceled for Tuesday night. All Centennial College campuses will be closed, including Ashtonbee, Downsview, Morningside, Progress and Story Arts Center. University tweeted that the closures include all daytime and evening courses, orphanages and other services. Campus is expected to resume on Wednesday. The proactive closure messages came after Environment Canada issued a winter storm warning for Toronto, requiring large winds and between 15 and 25 centimeters of snow, ice pellets and possibly freezing rain. "Areas like highways, roads, walkways and parking areas can be difficult to navigate due to the accumulation of snow," warned Environment Canada. "Visibility will suddenly decrease to near zero sometimes in heavy snow and blowing snow. It can have a significant impact on rush hour in urban areas." 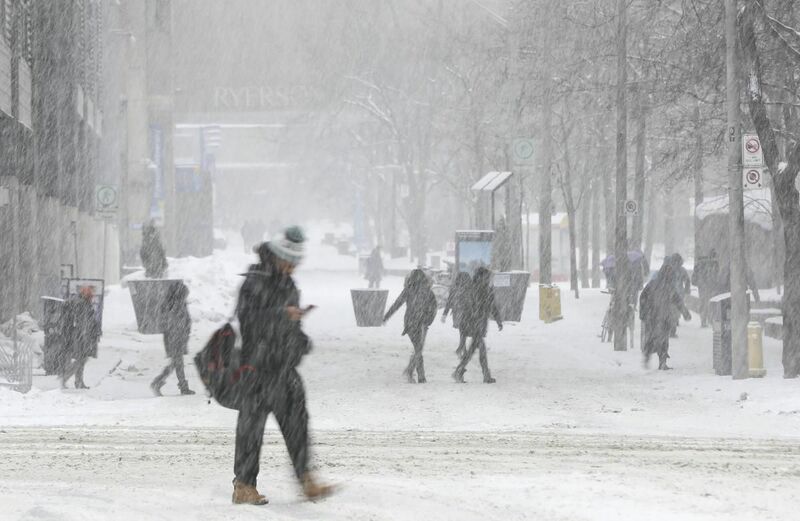 Ryerson and York Universities, as well as Humber College (including the University of Guelph-Humber), have said they are monitoring the weather and will provide an update on campus operations at 5:30 am on Tuesday. Durham College is open and all activities are expected to continue as planned, but the college says it is watching the weather. From Monday night, the University of Toronto campus is expected to be open. Pearson Airport is waiting for delays and cancellations and has recommended travelers to check in with their airlines to confirm flight status before leaving the airport. TOP STORIES, DELIVERED IN YOUR INBOX.